It's always a good time to grow your network. 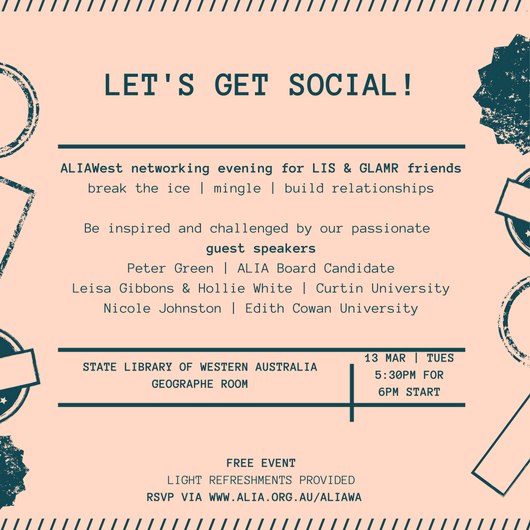 Embrace this opportunity to create meaningful connections in a relaxed environment with fellow colleagues, friends and professionals from all aspects of the LIS sector. We are pleased to have guest speakers at this event who will present short engaging talks that will inspire, motivate, and maybe even challenge you. We look forward to a very enjoyable evening with you !